With over 20 varieties of Hostas, 10 varieties of Lillies, and various other flowering perennials, we have the plants to make your garden ‘pop’ with color in the Spring, Summer or Fall. 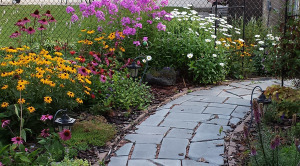 Ask to talk with one of our garden specialists for suggestions on what will work in your yard. Below is are expected nursery stock for 2014 season. There is no guarantee these plants will be available when in store.